If you’re a buyer actively looking for a home you’ve likely already come in contact with a California Residential Purchase Agreement. This is the formal form used by real estate agents in California to write offers on residential properties for sale. If you haven’t seen this form before, click here for a sample form. Buyers and sellers should both become familiar with this form as buyers will be using the form to make offer to purchase and sellers should be aware of the form and its contents when offers come in. This is a legal binding contract so regardless if you’re a buyer or seller you’ll want to know what you’re signing. 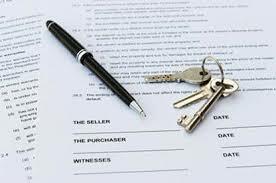 There are several sections contained in the Residential Purchase Agreement or RPA and although the form is mainly a boilerplate form with blanks that need to be completed as a buyer or seller you’ll want to be aware of the follow items. First is the price, this is located on page one of the RPA, it will be displayed as the total price being offered and breaks down the amount in deposit, cash down payment and loan amount. Buyers purchasing the property with a cash offer will leave the loan amount area blank so that the only items filled in are the Earnest Money Deposit or EMD amount and the total amount being offered. On the same page you’ll also see additional terms of the contract like closing date and financing terms and type. As previously mentioned there is a ton of information in the California Purchase Agreement so you’ll want to read it thoroughly when making or receiving an offer. For this article we’ll only cover three sections; 1. the first page that as you know contains pricing, financing and closing terms, 2. the buyer / seller check boxes section and lastly arbitration and liquidated damages. The check boxes section stipulates what party is to pay for what items; for instance closing costs, home warranty, title, etc. A check box on either the buyer or seller side would represent that party is to pay for the line item but if both boxes are checked then it would be assumed each would pay for their own or be split 50/50. There are many other items in a California Residential Purchase Agreement that need to be carefully reviewed like if there is a contingency on the property meaning the buyer needs to sell their own home before closing on the one they’re offering on. On the very last page is an expiration of offer section, in the RPA sellers have a standard 72 hours to review and respond to the offer but buyers can opt to put a more stringent timeline on things if they choose. For instance a buyer that might want to push things a little quicker can choose to have the seller respond in 24 hours so the seller doesn’t have the option to shop their offer. Of course this tactic may backfire so be careful what you choose to do. The last part of this article will cover the arbitration and liquidated damages section. This is a VERY important section that you’ll want to read very carefully. Depending on what items are initialed and by what parties, things like the liquidated damages amount can vary. Additionally initials from both parties on arbitration means both parties agree to arbitrate any differences in the event litigation arises. For more information on the California Residential Purchase Agreement or if you’re interested in buying a home, please contact us or leave a comment below. We’d appreciate the opportunity to assist you.